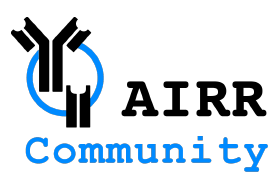 The Inferred Allele Review Committee was formed after the third AIRR-Community meeting in Rockville, MD in December 2017. The IARC is responsible for judging the validity of germline immunoglobulin and TCR genes, inferred from RepSeq data. It will advise IMGT and the IUIS/IMGT nomenclature committee of their findings. It will also work with IMGT to make inferred sequences, and evidence in support of their existence, available to the AIRR community and other researchers. The work of the committee will initially focus on human IGHV germline genes, but in 2018 it is hoped that work will commence on the evaluation of other human germline genes, and on mouse and macaque genes. Over time, the IARC hopes to establish links with researchers who are defining the germline gene repertoires of other species, and to work with them to define procedures for the evaluation and documentation of inferred genes from all species.